About 3 Weeks, 7 Hours, 4 Minutes ago. Tata Steel could sell one of its Welsh plants in order to get approval for a proposed merger with German steelmaker Thyssenkrupp, BBC Wales understands. 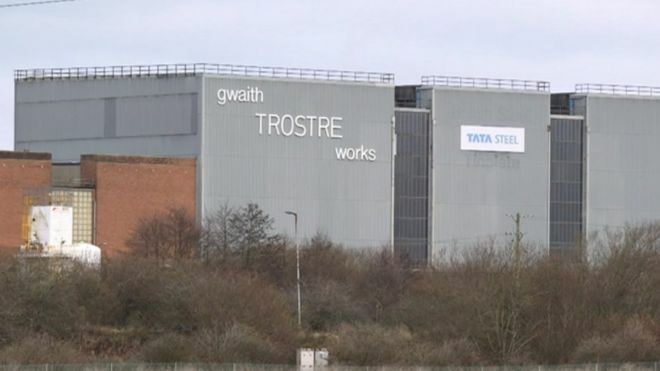 The Trostre steel plant in Llanelli, Carmarthenshire, could be sold as part of an EU investigation into the deal. The European Commission is investigating the proposal over concerns it could lead to less choice for customers. Llanelli AM Lee Waters and steelworkers union Community both raised concerns. The Trostre plant employs about 700 people and produces steel packaging for Tata Steel. Although it is unlikely the merger will be called off, the European Union is concerned the combined companies could control too large a share of the European steel packaging market, meaning plants like Trostre could be sold.